In What Episode Does Joffery Die? – [Game of Thrones] | In What Episode? 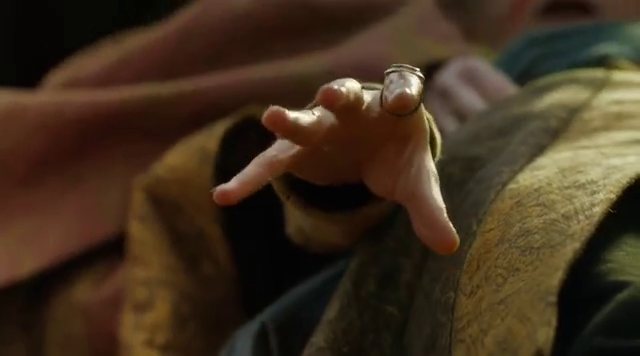 In What Episode Does Joffery Die? King Joffery dies in the TV Series Game of Thrones in Season 4 Episode 2 with the title “The Lion and the Rose”. 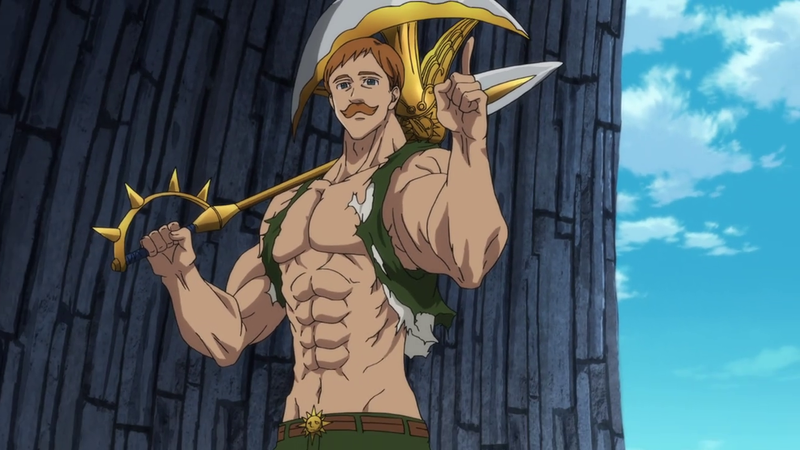 The episode begins with Ramsay Snow of House Bolton accompanied by Myranda and Theon Grayjoy hunting a peasant girl for sport and then feeding her to the hounds at the end. 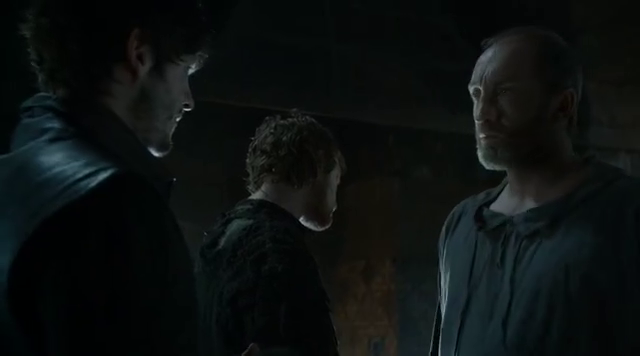 Roose gives Ramsays orders to take an army to Moat Cailin to fight the Greyjoys. 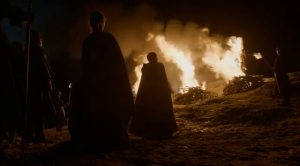 In Dragonstone, Melisandre leads a public burning of three people as a sacrifice to the Lord of Light. 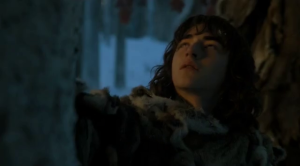 Beyond the Wall, Bran gets a vision after coming in contact with a Weirwood tree. He determines after the vision that King’s Landing is where he and his companions need to go. At King’s Landing there is a feast for King Joffery where he is presented with gifts in honor of his marriage to Margaery. During this time, a festering conversation developed between Tyrion and Jeffery. 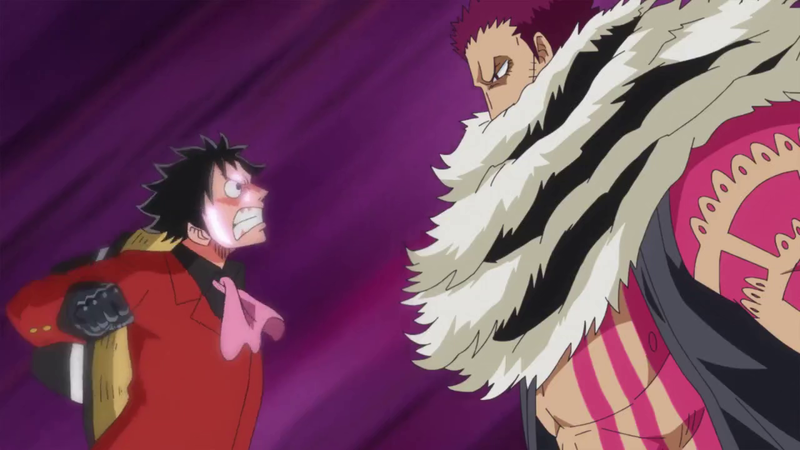 This led to Jeffery commanding him to be his cup-bearer and serve him wine. 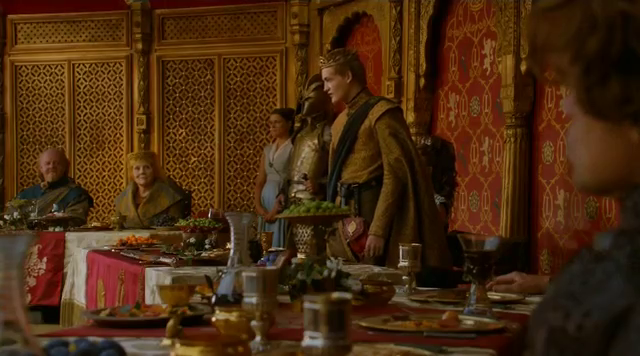 While Tyrion was handing the goblet, Joffrey tells him to kneel before his king. 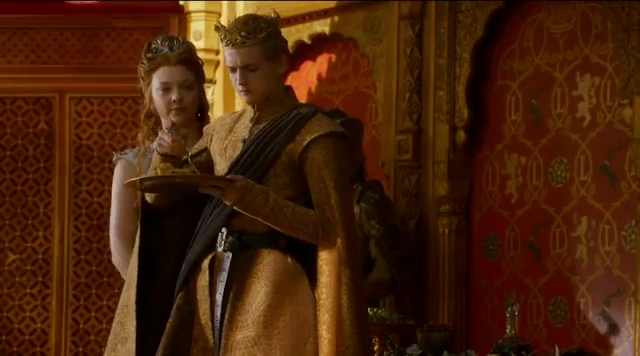 The situation is then interrupted by Margaery with the arrival of the pie. 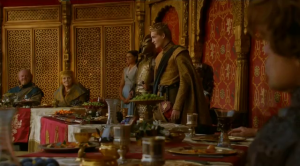 While eating a piece of the pie he asks Tyrion to serve him wine again. 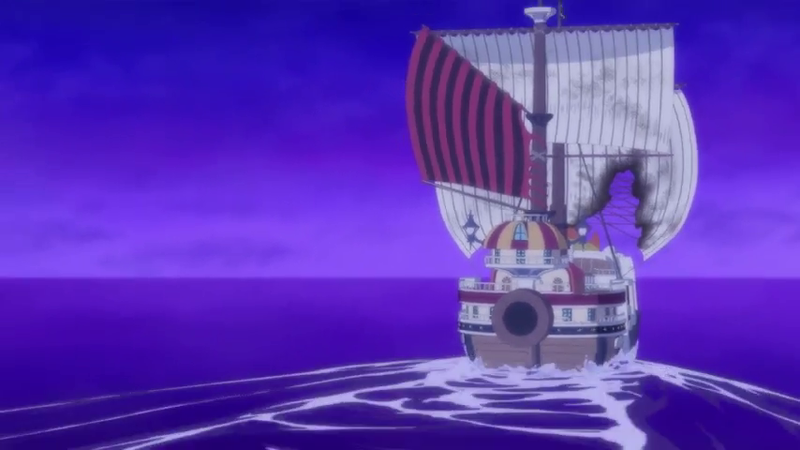 After his first drink he starts coughing, and then starts to vomit. 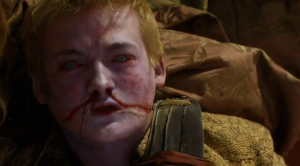 His mother and Jamie run to his aid, Joffrey then points at Tyrion then collapsed and died.